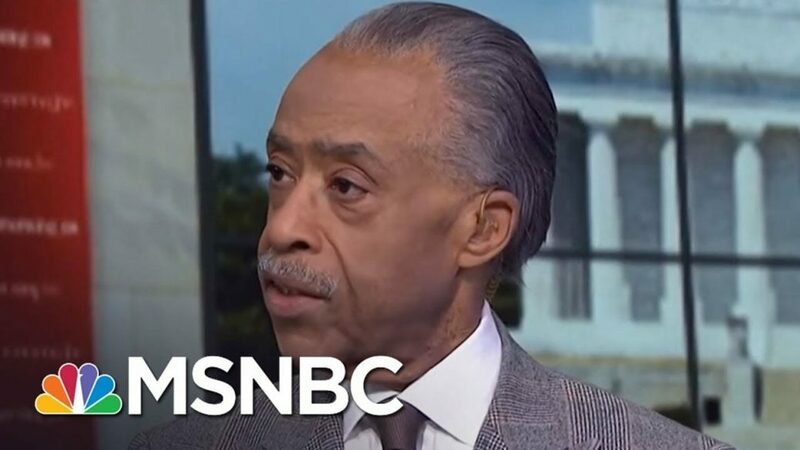 Saw a clip of Al Sharpton – on one of the Fox News programs (could have been Tucker Carlson, Hannity or Laura Ingraham’s show…?) – claiming: ‘Trump’s base would not tolerate white children treated like that…’ (Sharpton was addressing separating children from adults when apprehended at the border). It seems that Sharpton is intimating Trump voters have a different standard for “children of color” and white children; thus Sharpton is homogenizing Trump voters and impugning the collective character of nearly half of American voters as racists. The treatment of the topic of racism is tiresome – since it is ubiquitously marketed by the social-political Left and almost universally ascribed to those on the social-political Right. People are – by nature (as rational* beings) – ordered to the truth, and if attempts at dialogue were consistently, patiently employed and encouraged – ubiquitously – by those on the social-political Right (note: this requires we on the Right to consistently resist the temptation to engage the Leftist in exchanges of derogatory characterization, whereby we dismiss our opponents as “liberals, socialists, lefties etc.) the “mob protests, and protesters” may be checked (i.e., muted by those folks undecided and uninformed, but which may seek dialogue and knowledge from which a greater understanding may be derived…); all of which is in keeping with the Founder’s intention as they penned the 1st Amendment. If dialogue should become a universal mantra – of the social-political Right – social comity may eventually result, for many on the Left may learn/realize that they poorly informed; if they should seek to become informed so as to defend their positions, they may read/study their way into embracing the positions of the social-political Right… Perhaps such is a pipe-dream…?